The Canon ImageRunner Advance C5255 transforms workflow from a series of individual processes to an integrated flow of shared information. A beautifully compact communications hub, the C-5255 can drive your organization to new levels of performance and productivity. From every point of view, this Canon IR-C5255 is simply advanced. 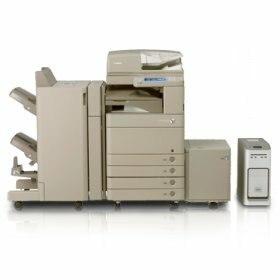 The imageRUNNER ADVANCE C5255 model delivers output speeds of up to 51 ppm in black-and-white and 51 ppm in color, and single pass duplex scanning at speeds of up to 200 ipm (duplex, 300dpi, black-and-white). 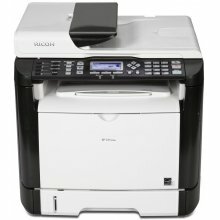 Other features include a faster warm up time, a smaller and faster document feeder, a quieter design for the finishers, Searchable PDF creation, the ability to scan to newer Office Word (.docx) and PowerPoint (.pptx) formats. It can alsohave a customized wallpaper, which is perfect for company logos. It also features a more standard HDD security features. 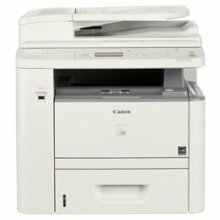 With the imageRUNNER ADVANCE C5255 model, there's a dramatically better way to work. 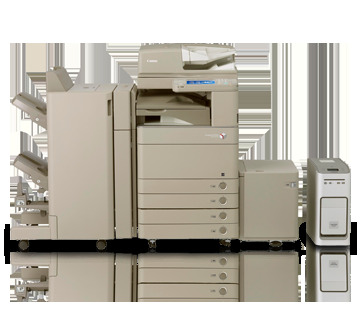 2 x 550-sheet Paper Cassettes, UFRII Printing, Color Universal Send with PDF High Compression, Searchable PDF/XPS, OOXML (Scan to Word and PPT), Access Management System, HDD Data Erase, IP Sec, Single Pass Duplexing Automatic Document Feeder, Color Image Reader, Ethernet 1000Base-T/100Base-TX/10Base-T, USB 2.0 high speed connectivity, Color Network ScanGear and Drum Units.